Apple’ CEO Tim Cook revealed the brand new iPhone 7 and 7 Plus in San Francisco at an event on Wednesday night. iPhone 7 comes with a rounded aluminum body in a darker black color scheme and features including water resistance, dual camera system and stereo speakers. And, as has been reumored all year, the iPhone does not have a headphone jack! Users will either have to use wireless Bluetooth headphones called AirPods to listen to music, or buy a pair of wired headphones that plug into the Lightning port – currently used for charging. 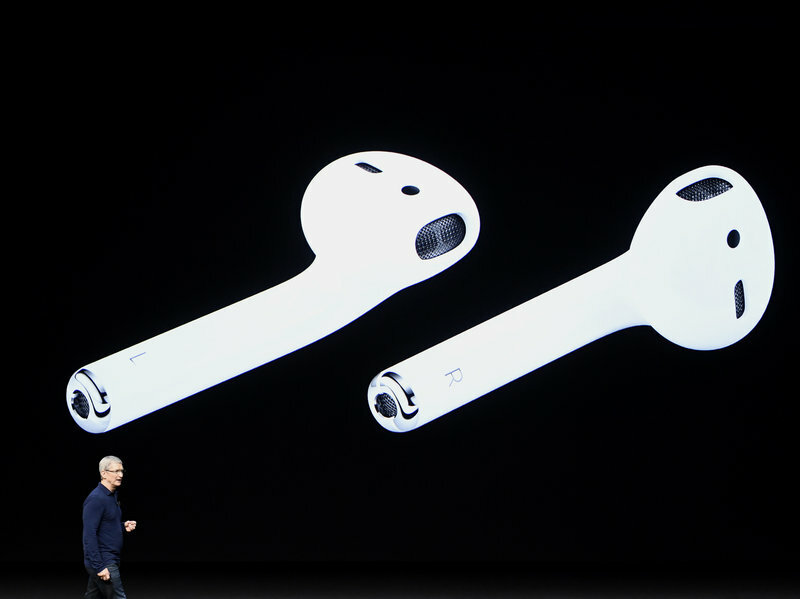 The AirPods are wireless headphones that look like the buds of the regular Apple headphones but cordless. The iconic home button is also redesigned, making it force sensitive like the Force touch trackpads used in recent MacBook laptops. The phone has also gained the Taptic Engine haptic feedback system from the Apple Watch, which provides different vibration feedback for various alerts. To those who have always complained about the iPhone’s battery, here is good news: iPhone 7’s battery a bit longer-lasting.